HIV and hepatitis awareness is often a taboo subject. 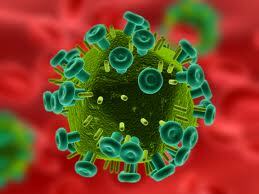 Many of the stories and rumours about HIV and Hepatitis are exaggerated or just made up. In dealing with the diseases, it’s important to know reality from myth. The course challenges the ignorance, social stigma and discrimination of people with blood borne illnesses through increased awareness and understanding. This is a basic awareness course aimed at any employee who may have to deal with the problems associated with HIV and Hepatitis. The course will promote discussion amongst the students to increase the learning experience. The course covers HIV and Hepatitis as blood borne viruses, and the precautions to be taken should exposure to the infectious agents occur. Legal duties of employer / employee. Special care for first aiders. Qualification: HIV and Hepatitis Awareness Certificate. Click here to download HEP awareness syllabus.